A Tribute to a Human Extraordinaire and her Music which Touches Souls: Ayọ » Discography » Noel ! Noel !! Noel !!! 12 French and international artists remembered the songs which illuminated Christmas of their childhood. “Of Sharp the wind” at “Soft Night” while passing by “Santa Baby”, in fact the greatest Christmas carols were revisited by Michel Legrand. It thus signs arrangements and the direction of a symphonic full orchestra accompanied by Big Band Jazz, the whole recorded in New York. 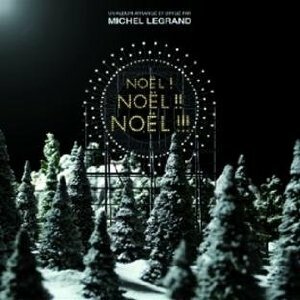 Michel Legrand also offers a new title, writing for the occasion and heading “Christmas to us d' Espoir”. Artists brought together in this ECRIN: Mika, Carla Bruni, Heart of Pirate, Iggy Pop, Emilie Simon, Renan Luce, - m, Olivia Ruiz, Ayo but also Jamie Cullum, Rufus Wainwright and Madeleine Peyroux .un casting dream for Christmas of exception!